One Million Women Working for Planet Earth! July 13, 2015—The 1 Million Women’s movement was started by Natalie Isaacs and her friend over a cup of coffee one morning. They asked themselves, “What if our everyday choices we make as women add up to a big difference for the planet and future generations in reducing waste and pollution?” They started a movement to answer their own question and realized they have power! Cognizant that women in developed nations waste too much, harming the planet, they decided to start a movement with a goal of signing up 1,000,000 women committed to helping the environment–that’s real change! As of this writing, they have 202,252 women signed up and engaged in the movement. They are “committed to cutting over 100,000 tons of CO2, the equivalent of taking 240,000 cars off of the road for a year!”, according to the U.N. Framework Convention on Climate Change, where they were recently recognized as a Lighthouse Activity, shining a beacon of hope into the future of our planet. They are educating women on climate change and reducing waste and pollution! They have, also, developed a SAVE program, which is a practical guide to shrinking household bills, reducing waste and living more sustainably–projects for women written by women to utilize renewable resources and be conscientious about their day-to-day living habits. Working to save our Planet-One Million Women! 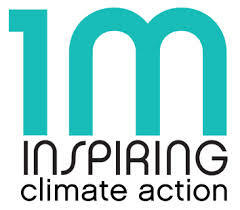 If you’re a woman who cares about the environment go to http://www.1millionwomen.com and join up. The website will give many suggestions for getting involved. In the article, “Six Ways to Live Simply”, they suggest easy actions to make a difference, one of which is the Power of the Purse: Make Every Dollar and Cent Work for You and the Environment. They will educate you in making financial decisions that support a clean environment by choosing a green investment fund. They state, “Every cent we invest has an impact on the future of everyone’s world as well as our own.” A million women in developed countries, voting with their money, can shift how industry sets up retirement funds for their workers. The ideas on this website are numerous! The first 3 years of the 1 Million Women movement have been spent building its structure. Over the next three years they plan to work globally and according to their website, “Adapt the movement’s core message to a universal one of “Less is More,” aimed at both climate change impacts and wider resource management, based on the need for women in developed countries to consume and waste less, so that everyone can have a greater quality of life while preserving environmental well-being–we are daughters, mothers, sisters, grandmothers getting on with climate action!” The1 Million Women’s movement, a beacon of light for the future of our planet! Join one million women and be counted! Categories: Climate Change, Energy Programs, Renewable Resources | Permalink.